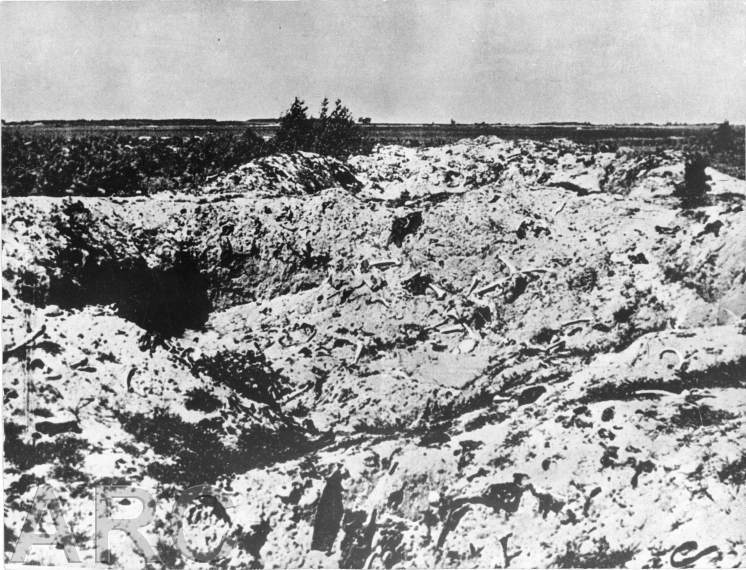 When this final gassing was completed, the camp area was ploughed over and trees were planted. The camp was turned into a farm. 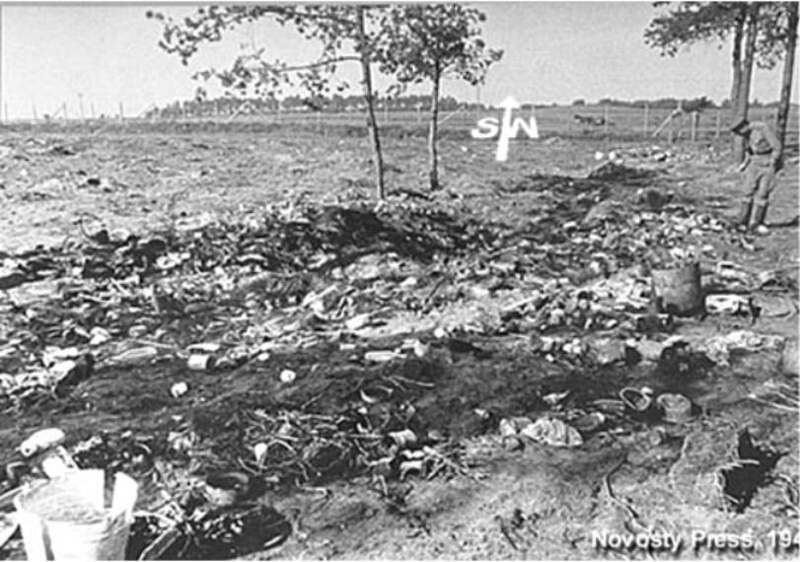 A Ukrainian guard, a certain Streibel, was settled there, in order to give the impression that nothing untoward had happened at the camp site, and to prevent the local population from unearthing any remaining valuables. 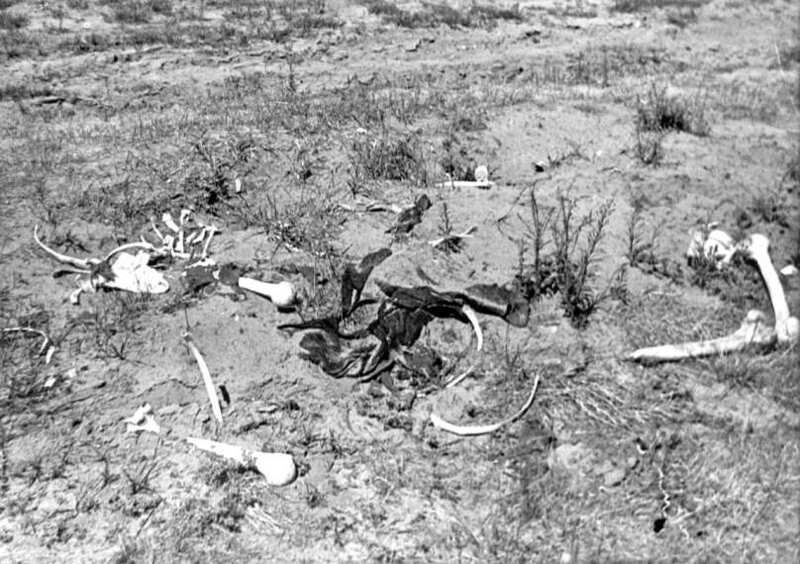 After he left the site, the local population descended on the camp site, looking for gold and other valuables. Whilst doing this they unearthed parts of decomposed bodies. 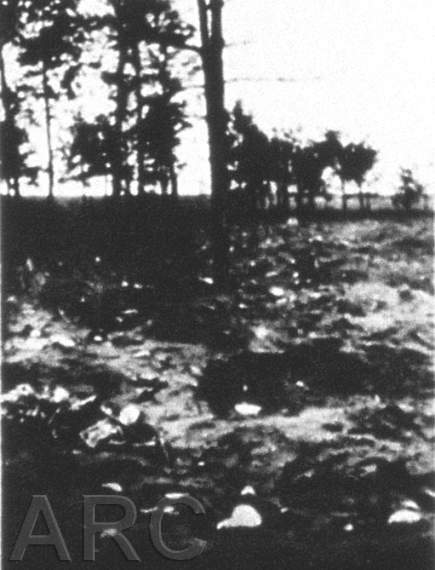 The photo was taken by Russian troops or Polish investigators after the destruction of the death camp. On the left the entrance gate for the trains. The siding has already been removed. 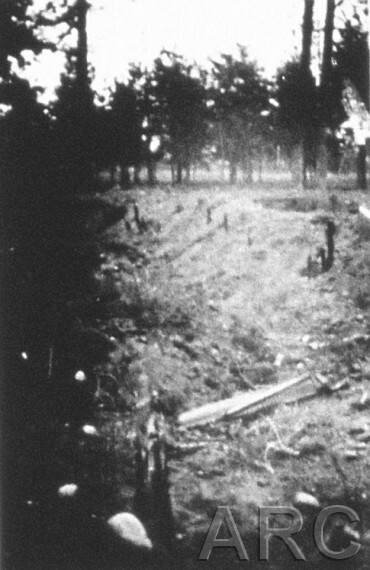 On top of the rampart the western fence ran. 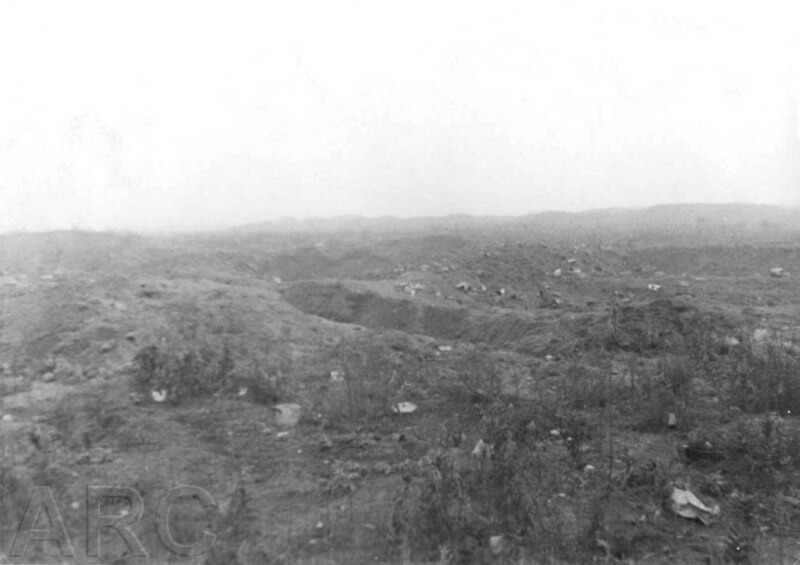 On the right the rampart, mentioned by Richard Glazar. On top of the rampart the western fence ran. On the left heaps of sand, probably thrown up by diggers searching for valuables. 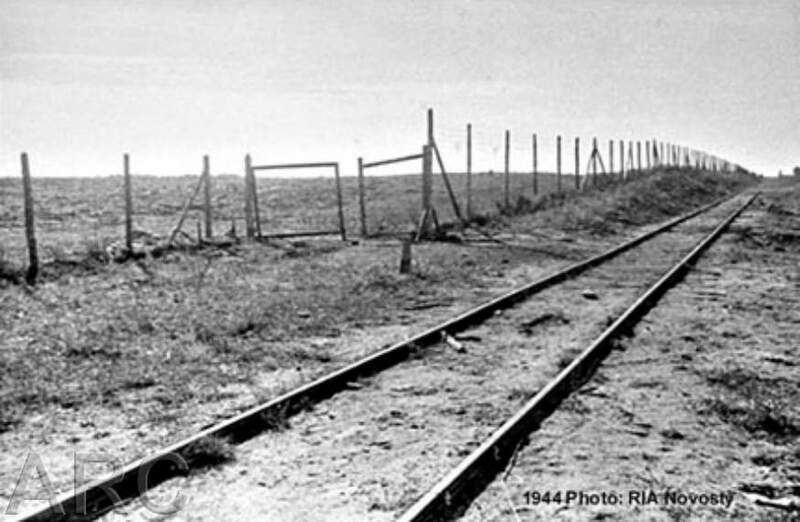 The photo was taken by Soviet Forces (Novosti Press), during their investigations in 1945. 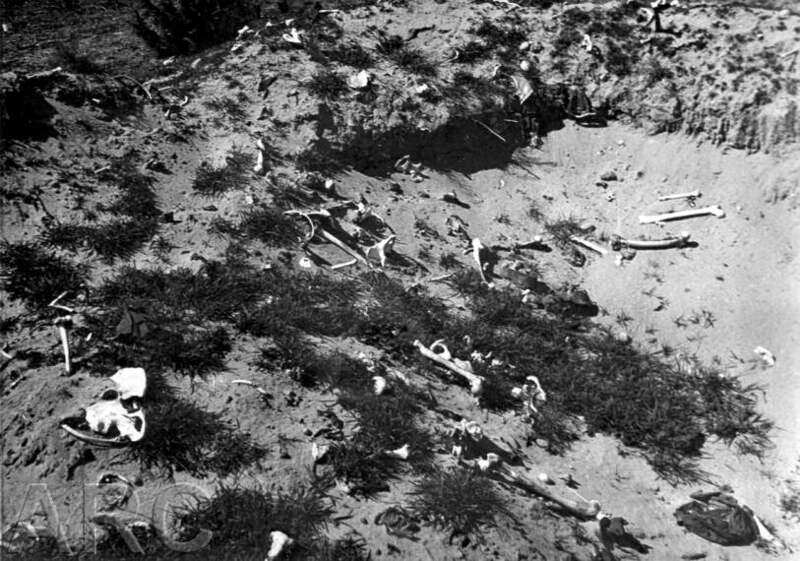 Bones, pieces of clothes and thousands of personal belongings of the victims were digged out by the local population when they searched for valuables. 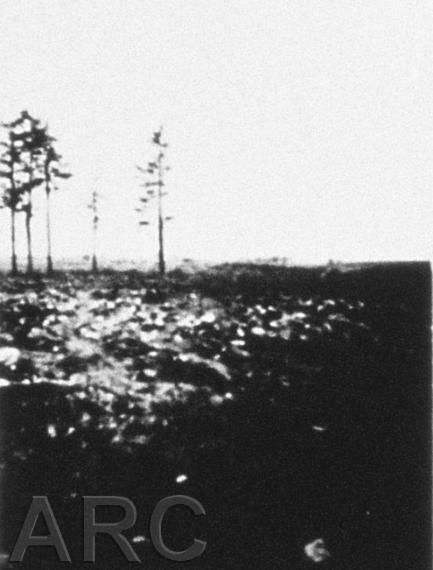 The photo was taken in 1945. 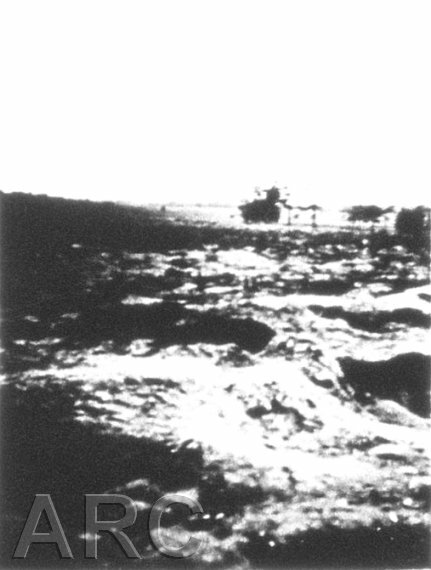 The photo was taken in 1945. Remnants of wooden posts in the ditch. 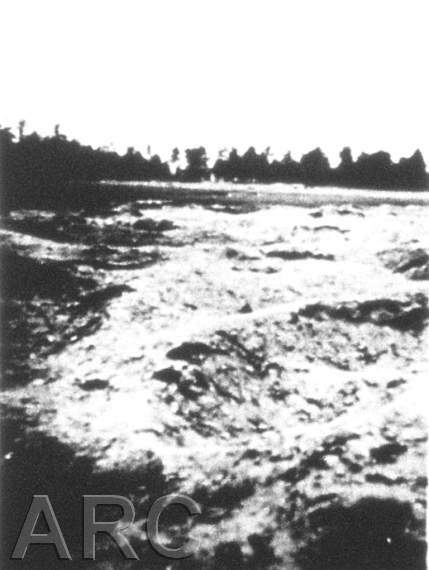 The photo was taken in 1945. The ground is covered with broken china and other remnants of diches. Here was the sorting place. 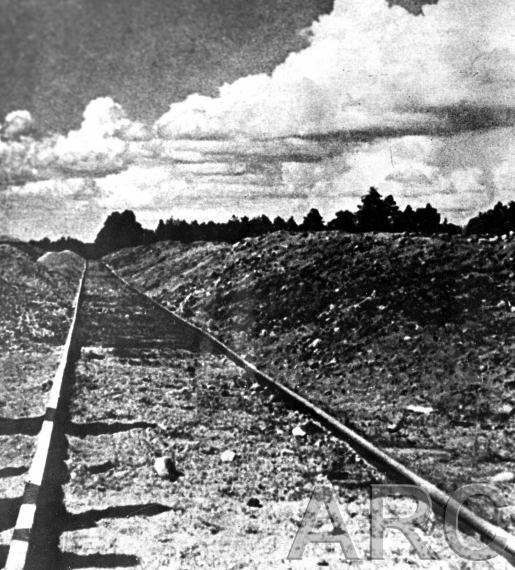 The photo was taken in 1945. 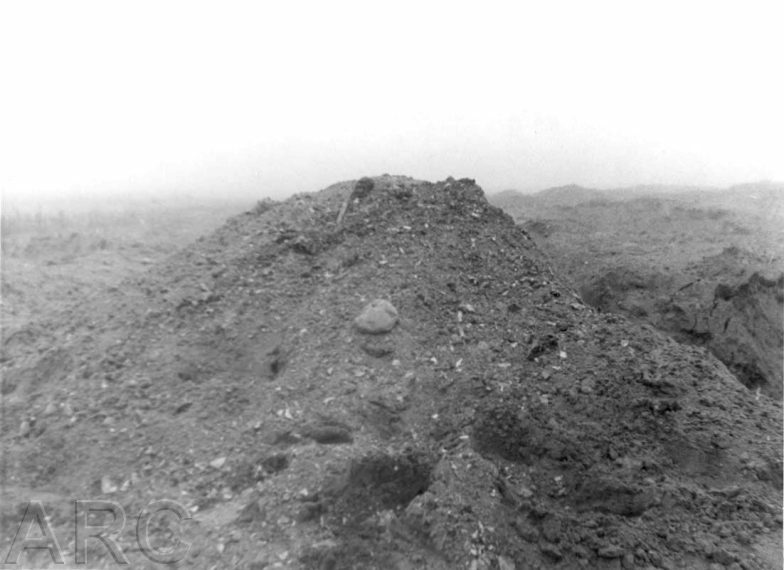 Holes and remnants of human bones, unearthed in course of the period when people searched for gold and valuables. 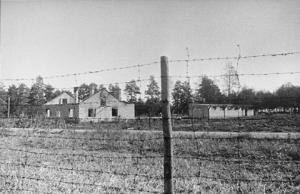 The photo was taken in 1945, at the former gas chambers site. 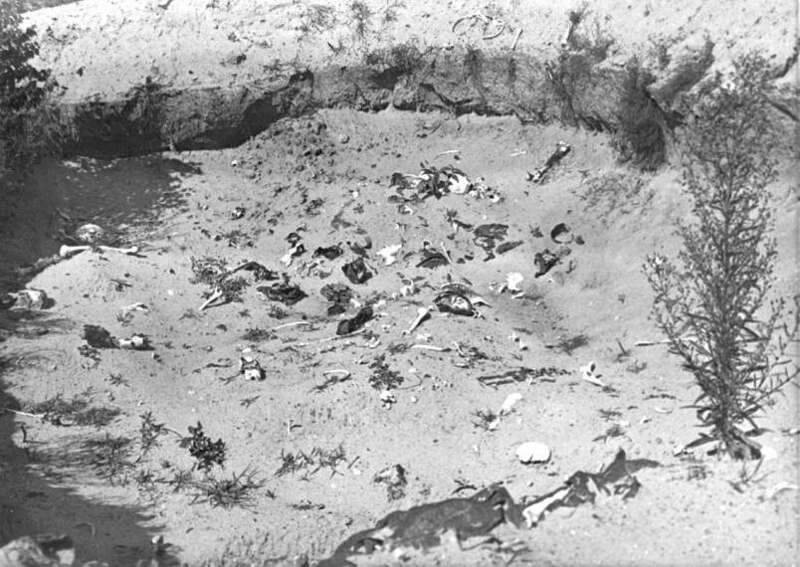 The photo was taken in 1945. 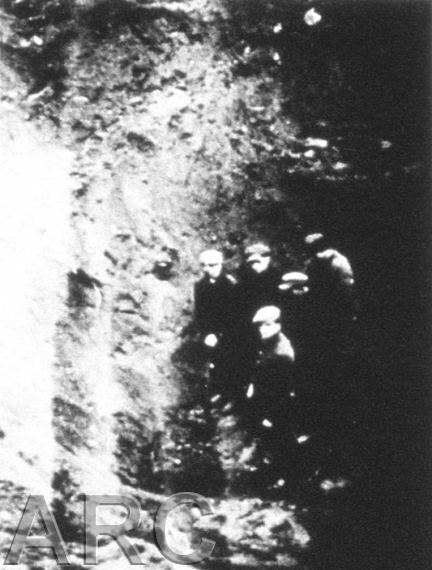 Investigation team, inspecting a mass grave.